Today is the first day of the Miss Polly blog tour! Some lovely sewers are on board to sew up a Miss Polly from all around the world, this week and next, and I am really excited to see them all! 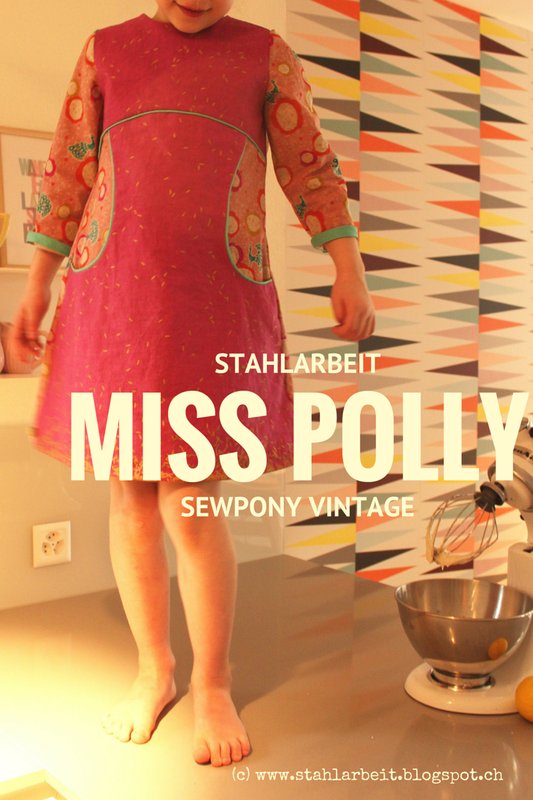 Throughout the tour (April 4 - April 15) you can receive 15% off the Miss Polly pattern with the code: MISSPOLLY15 (discount applies to all sewponyvintage patterns throughout the tour). Don't forget to use #misspollydress to tag your dresses on social media so I and others can find you!! Today I have three lovely international bloggers sharing their Miss Pollys. Miranda from Inspinration, Bettina from Stahlarbeit and Sylvia from Lily & Woody. Miranda blogs from the Netherlands at Inspinration. Miranda was one of my testers for Miss Polly and has also helped with testing for me with Dear Prudence. This is Miranda's third Miss Polly. You can see her first two here. 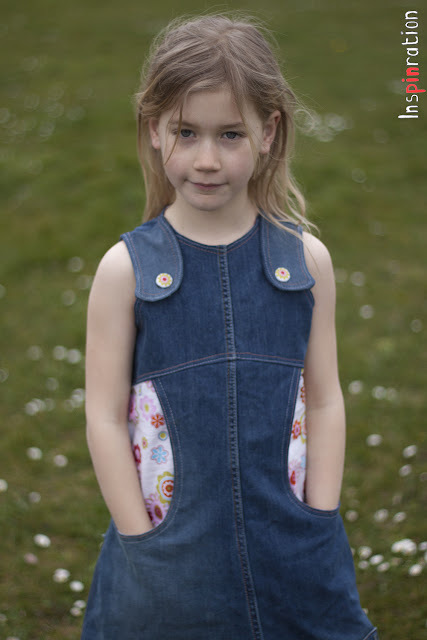 This dress was recycled from a pair of denim pants. Miranda made this dress with functional shoulder flaps! So cool. Head over to Inspinration to see more. Sylvia blogs at Lily & Woody from Belgium. She sews gorgeous clothes for her children and for herself too. How beautiful is this blouse she made? 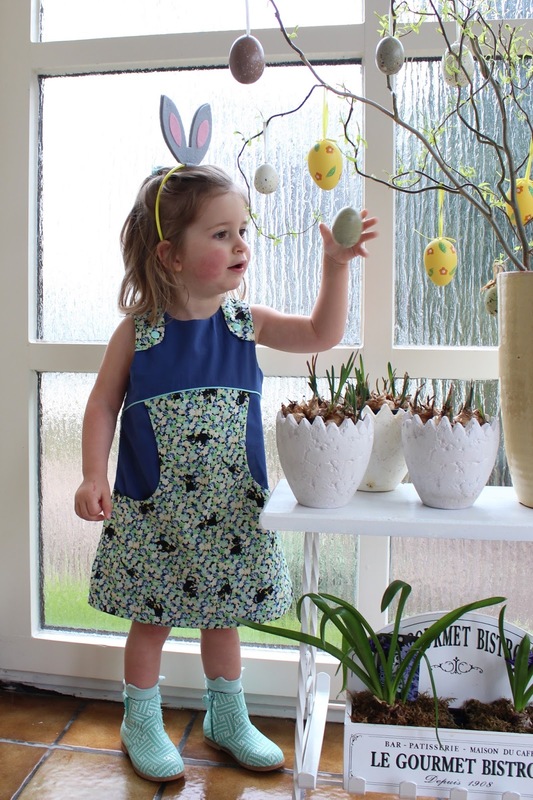 She made a gorgeous sleeveless Miss Polly for this sweet Easter photoshoot! Head over to Lily & Woody to see. Thank you Miranda, Bettina and Sylvia for the lovely dresses you have made and shared. Make sure to come back here Wednesday when I will be sharing the links to three more great bloggers! Thanks for having me on the tour, Suz! I'm also looking forward to the rest of the tour... and your next pattern. Congrats with Miss Polly, I really loved making this dress!